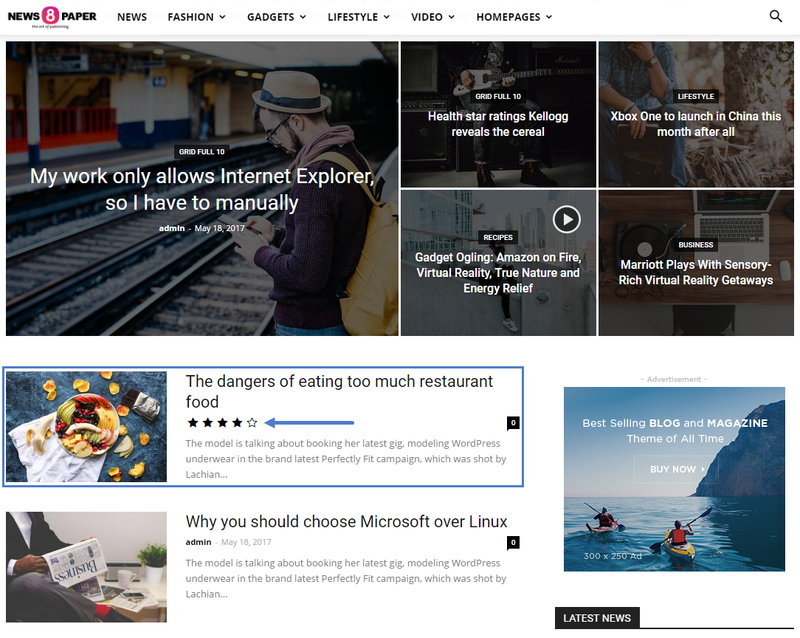 If you’re a chef, a technician, or you’re just passionate about games and you want to create your own review blog, then you’re in the right spot. Newspaper comes with a built-in author review system. 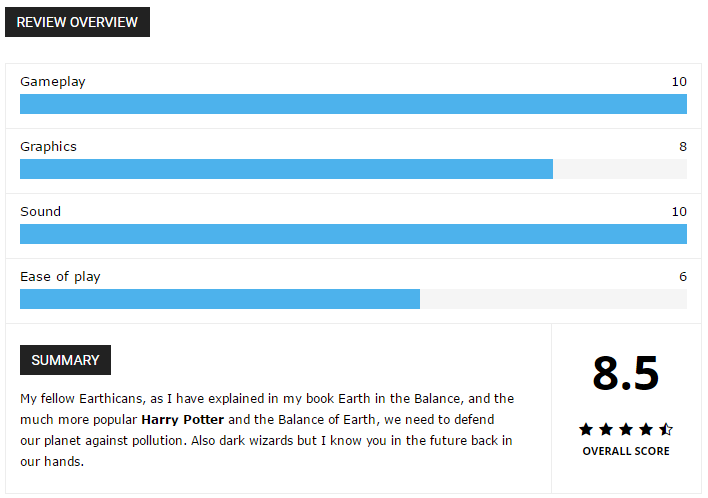 This feature allows you to create elegant review posts using a system based on stars, points or percentages. 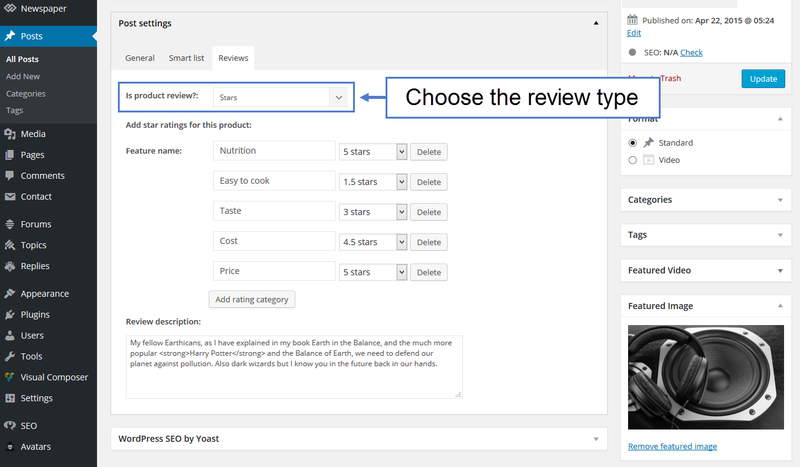 You can easily create product reviews using our theme. 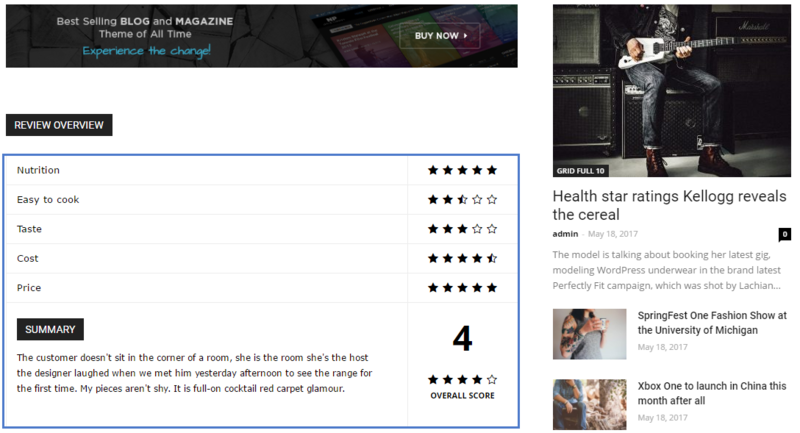 On the Post page where you want to use the review system, you will see the Product Review section. 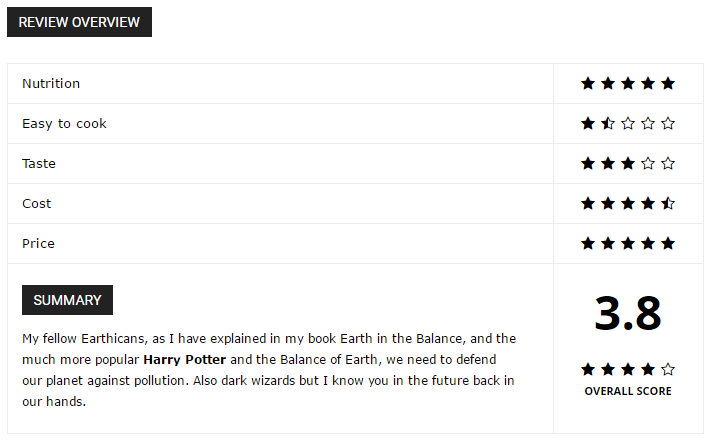 Also, you can write a short review in the Review description box. On the Post page, the review will be at the end of the post. 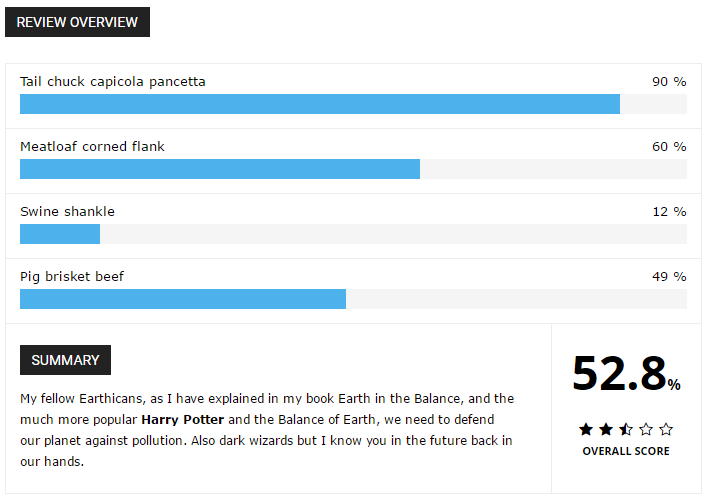 On Pages, the review will be displayed as a simplified version.